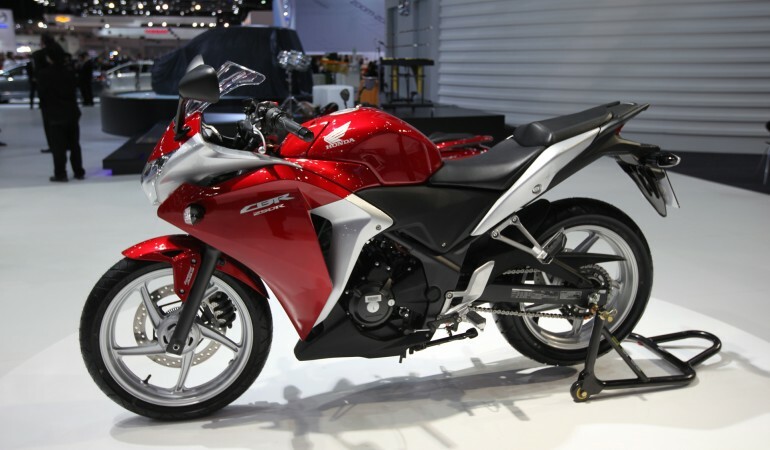 But the mini-ninja will soon face stiff competition from Honda's totally re-conceived babyblade CBR250R, equipped with a 249cc single-cylinder, fuel injected engine, a tasty fairing that mimics the CBR1000RR and the first instance of optional ABS to grace the market segment. This will be a killer learner machine and a great introduction to the sport for legions of young riders. It's good to see the quarter-liter segment getting some love again. Oh, and check out what the aftermarket's already coming up with for these new machines. Back in the early 1990s, the 250cc class was red-hot -– Honda's CBR250RR battling it out with Kawasaki's ZXR250 and Yamaha's YZF250 in a stand-up mini racebike brawl that saw power figures escalating to ridiculous heights. 45 horsepower from a quarter liter, 4 cylinder 4-stroke? That's a heck of a lot, especially considering we're talking more than 20 years ago, when top-flight liter bikes weren't making much more than 130 horses. But that's what the kids wanted: bikes that looked fast and had lots of power. 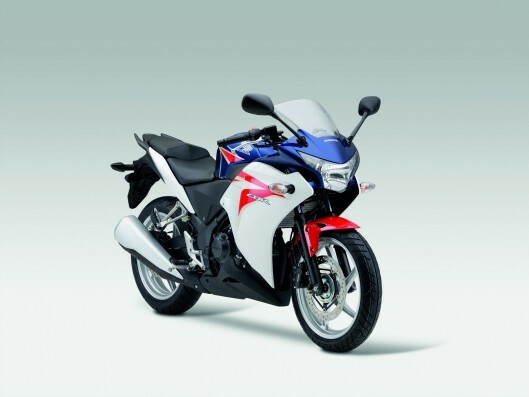 And the 250cc 4-strokes fit conveniently within learner license regulations in countries like Japan and Australia. They sold like hotcakes. But like any hard-edged sports machine, they took a lot of skill to ride. You can't make big horsepower from a 4-cylinder engine without sacrificing a lot of low-end torque, so the CBR250s of old were very easy to stall. Low-set clip-on bars would crush your thumbs against the tank as you tried to do u-turns. These things were great on the open road, but a right pain around town – and I think it's fair to say they put a fair few learners off the idea of riding altogether. They had their shiny, fast-looking bikes, but they just couldn't get their heads around how to ride the things. Fast-forward 20 years to the learnerbike market of today -– while many countries have graduated license schemes based on power-to-weight ratios, allowing learner riders to get on big, friendly bikes like the GS500, GSX650F, CB400 and the like, the bike that has really been setting sales figures alight is the Kawasaki Ninja 250. And the Ninja got a lot of things right; it looks fast, but it's not as highly strung as the old ZXR. 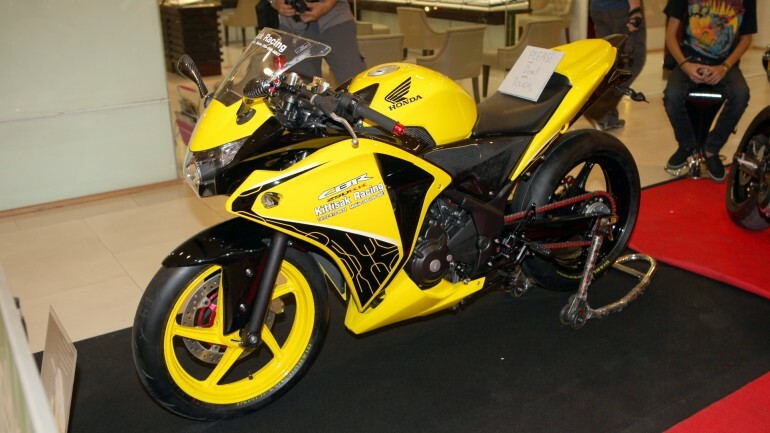 In fact, it's based on the old faithful GPZ and ZZR bikes that rounded out Kawasaki's 250cc offering for decades. Practical and rewarding machines that always seemed to play second fiddle to the racier looking machines. The Ninja 250 put a coat of glamor on top of the fantastic GPX platform, creating a learnerbike that was both desirable AND rideable, that drew new riders into the sport but gave them something encouraging and friendly to develop their skills on. Released in 2008 and more or less unchallenged in its segment, it's still selling like crazy. So the real question here is: why did it take Honda four years to catch up? 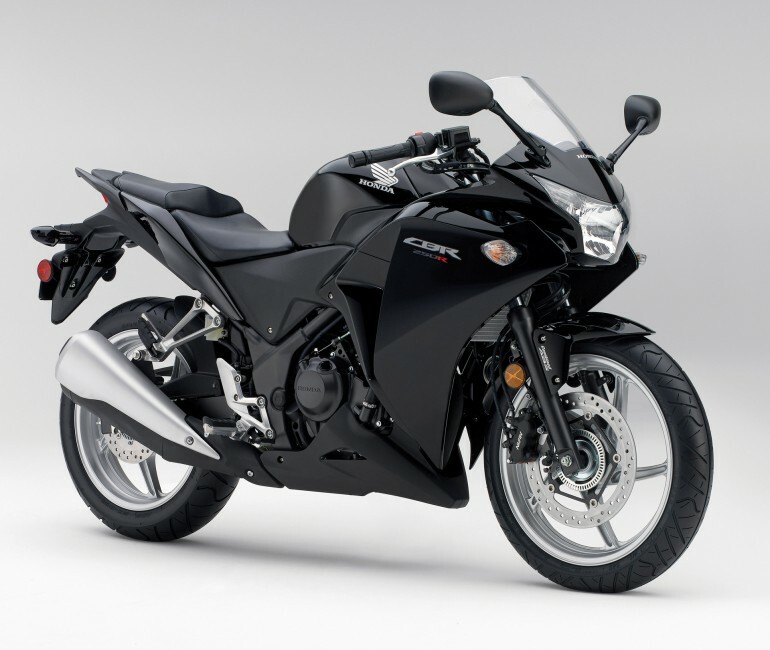 Catch up might not be the right word; Honda's upcoming 2011 CBR250R release will push the game a little further on from the little Ninja, but it takes a few big cues from the Kawasaki's success. First of all, it looks great, every bit the younger brother of the popular CBR1000RR and VFR1200F with its glossy paneling, triangular exhaust and underpants-shaped headlight. It looks quick and it looks *now*. The engine choice is an interesting one – Kawasaki has had great success with the Ninja 250R's parallel twin, but Honda has opted for a single-cylinder 249cc 4-stroke, fuel injected and very much oversquare, with a bore of 76mm and a stroke of just 55mm. No power figures are quoted as yet, but that engine configuration suggests a very torquey bike, easy to get off the line and quick to build revs. It's also light, tipping the scales at 161 kg wet. Seat height is a fair bit higher than the Ninja 250R, at 78 cm versus the Kawasaki's 74.5 cm. Most significantly, the Honda CBR250R will be the first bike in the segment to offer an ABS braking system – in this case, Honda's Combined ABS system, which in addition to managing wheel slip, also makes a proportion of the rear pedal braking pressure activate the front brakes. It cannot be overstated what a good idea this is on a learner bike. I've had my reservations about motorcycle ABS systems in the past, but the simple fact is, you can grab and stomp the brake levers like a baboon in the pouring rain and Honda's ABS system will get you safely to a stop. And the combined braking system will nurse learners through that ubiquitous period where they're too afraid to get on the front brakes hard because of all the weight transfer issues. This combined ABS system alone will certainly save a legion of young riders from expensive and painful drops and crashes they would have had without it. ABS is an optional addition, adding additional cost and 4kg of weight to the package. I would thoroughly recommend it. 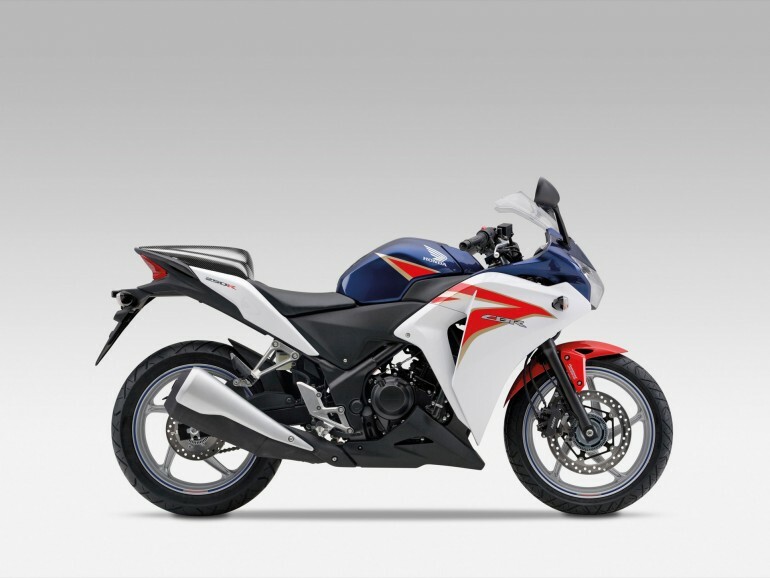 So there you have it; in some ways, you might look at the new CBR250 and see it as a step backwards from what we had in the late 80s and early 90s. It will certainly not match the stratospheric power figures of that era, but as an entry machine into the world of motorcycling, it will serve new riders much better – without sacrificing the desirability factor of the older machines. The only thing that remains to be seen is how the new CBR goes against the Ninja 250R – and you can bet your hat there'll be a rash of comparo tests hitting the magazines and the Web the second the CBR250R becomes available – which will be in Q2 this year. Whichever one takes off quicker from the lights, my vote's with the Honda and its ABS system.